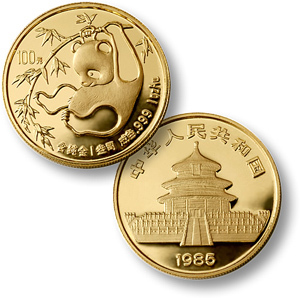 China issued its first gold coins picturing an adorable Panda design in 1982, in sizes of 1, 1/2, 1/4, and 1/10 troy oz. of 999 fine gold. Beginning in 1983 another size was added - 1/20 oz. 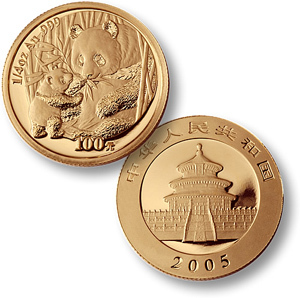 Larger Panda coins were issued in some years, weighing 5 and 12 oz. 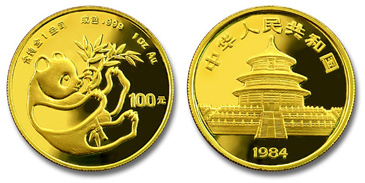 These popular coins were issued in Prooflike Brilliant Uncirculated quality with a different design each year, through 2000. 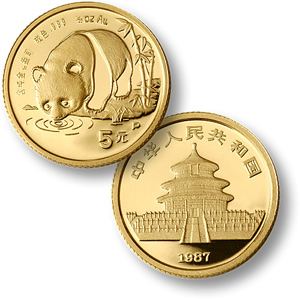 A freeze of the design was announced with the 2001 issues … and thus the 2002 Pandas were identical to 2001. 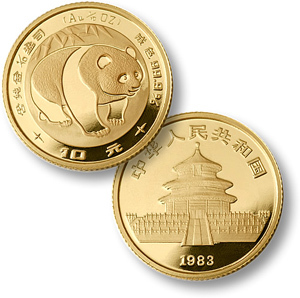 But collectors spoke up in behalf of annual changes, and China has responded by reversing their policy, and announcing new designs for the 2003 Pandas. 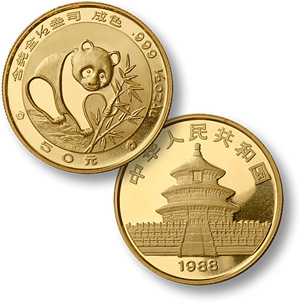 In addition, from 1986-1995 gold Panda Proof Sets were issued. 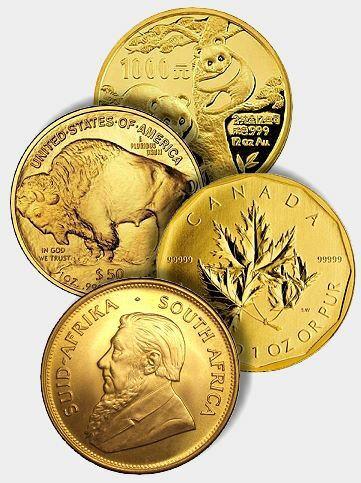 Out of all the minted dates, the 1982 and 1983 trade for large premiums while all of the other dates trade as normal bullion coins.